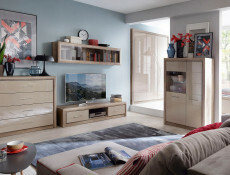 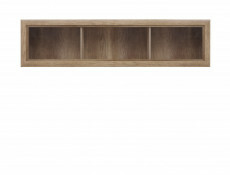 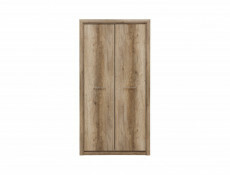 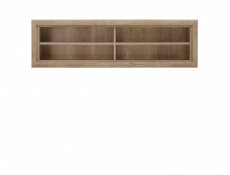 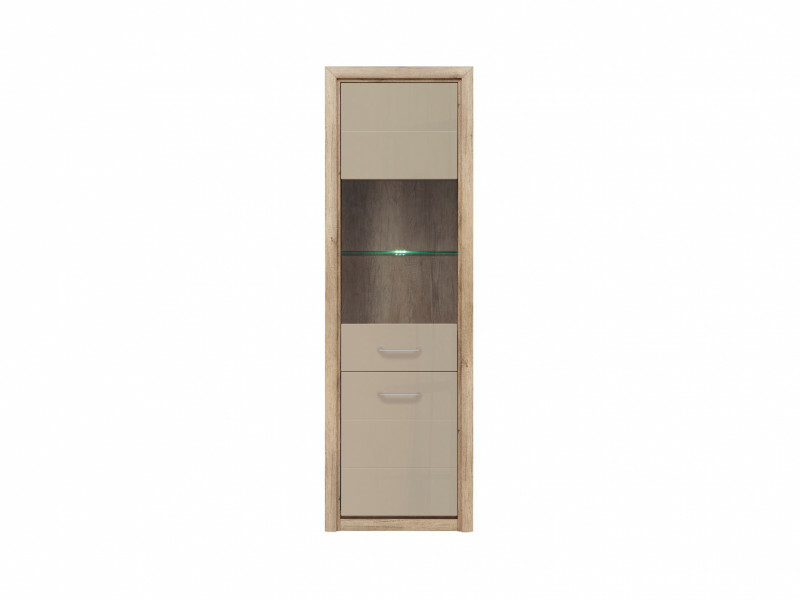 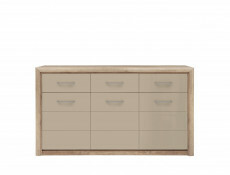 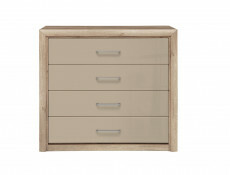 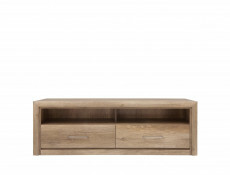 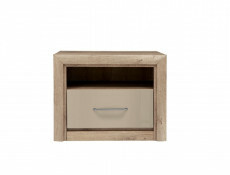 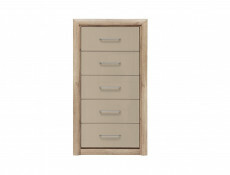 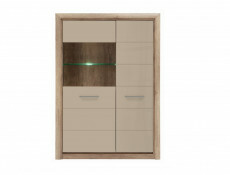 KOEN 2 modern living furniture range offers a Tall Display cabinet with 1 solid door and 1 partially glazed door. 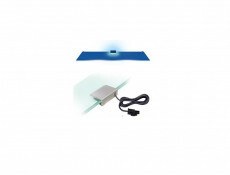 - LED lighting is available to purchase separately. 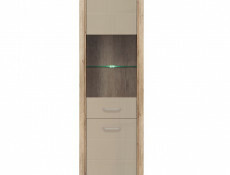 - This display cabinet unit is made up of an open compartment behind partially glazed top door made of safe tempered glass with additional solid door underneath. 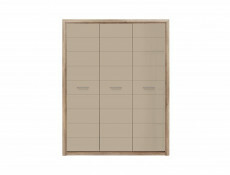 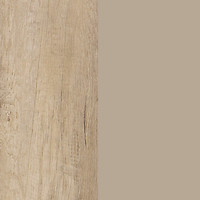 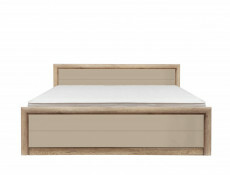 Size: 63.5 cm (W); 200 cm (H); 40 cm (D).